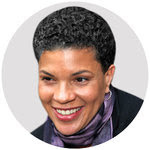 This entry was posted in bail reform, black men, Michelle Alexander and tagged ban the box, cash bail, e-carceration, presumption of detention on November 9, 2018 by Susan. The conference committee released the compromises and many reforms to the Massachusetts justice and corrections systems on Friday, March 24. Their fellow state representatives and senators will vote YES or NO, with no opportunity for amendments, and the bill will go to Governor Baker, who has not yet stated his position. Advocates are hopeful we would have sufficient votes to override a veto, if necessary. Below are highlights of the comprehensive bill, which are mostly positive steps in the right direction. There are a few glaring contradictions, such as increasing mandatory minimum sentencing for opiate trafficking and new laws to protect police officers. This entry was posted in bail reform, drug law reform, end mass incarceration, juvenile justice, mandatory minimums, Massachusetts, Statehouse and tagged conference committee, justice and corrections systems reform, Omnibus Bill, women on March 26, 2018 by Susan. Last month, the Supreme Judicial Court of Massachusetts ruled that judges must take into account a defendant’s financial resources when setting bail. The original intent of bail was to be sure a defendant returned to court, but in today’s environment, where approximately 97 percent of criminal cases are settled with plea bargain agreements, the setting of bail that people cannot pay, serves to guarantee more convictions. When one is incarcerated pretrial, one is more likely to accept a plea, and a criminal conviction, in order to go home. It is unclear what the impact will be for this ruling. The practice of bail will continue, and the court can use it when their is a flight risk. Dangerousness hearings are also part of Massachusetts law, so that defendants deemed a danger to the public can be retained pretrial. At this time the Mass Bail Fund is meeting with others to determine what kind of monitoring can be done to determine compliance with the new ruling. See more here about the Supreme Judicial Court’s ruling. –Submitted by Louellyn Lambros of Scituate, an EMIT CORE member. This entry was posted in bail, bail reform, Massachusetts and tagged debtor's prison, justice, MA Supreme Judicial Court on September 1, 2017 by Susan. It’s time for justice reform in Mass. WHEN IT COMES TO CRIMINAL JUSTICE REFORM, VOTERS WANT MORE — At least according to a new poll out this morning from MassINC Polling Group, which finds a bipartisan support for getting rid of mandatory minimum sentences and pursuing second chance reforms by a 2-1 margin. Some 53 percent of voters believe incarceration currently does more harm than good – potentially opening the door for more aggressive reforms than are in the current criminal justice reform bill rolled out by Gov. Charlie Baker in February and backed by state House Speaker Robert DeLeo. State Senate President Stan Rosenberg, who supports the proposal, has also stated he wants to go further than Baker’s bill to delve into sentencing policy and bail practices – things this poll indicates the public has more of an appetite to pursue. The poll also reveals bipartisan interest in reform, which could provide cover for both chambers in the legislature to pursue more progressive policies, like getting rid of mandatory minimum sentences and an emphasis on rehabilitation and prevention of future crimes – two things specifically favored on both sides of the aisle. “You see an appetite for changing things around, for trying something new and changing the realities of the criminal justice system of Massachusetts,” MassINC Polling Group President Steve Koczela told POLITICO. – Check out the toplines. Click on “Check out the toplines” for details of the question and responses in the poll. It’s important to organize meetings, calls, and letters to both your state representatives and senators that you support criminal justice reform and specifically name what that includes such as Ending Mandatory Minimum’s drug convictions and returning sentences to Judges, CORI Reform including reducing the number of years employers can see CORI’s to 7 years on felonies and 3 years on misdemeanors, reducing ending fines and fees like the $65 a month fee those on probation must pay, raising the threshold for what’s a felony from the 30 year old $250 level up to $1500, Diversion to Treatment, Juvenile Expungement and Raising the Age of Juvenile Court coverage. –Thanks to Lew Finfer and Jobs not Jails for this update. Please submit YOUR post for this blog to emit.susan@gmail.com. This entry was posted in advocacy, bail reform, Contact legislators, Council of State Governments, criminal justice reform and tagged legislation, MA, Mass., MASS. statehouse, massachusetts on May 11, 2017 by Susan. NEW YORK TIMES March 9, 2017. HOUSTON — It was an awkward scene for officials of Harris County, Texas, who are defending themselves in federal court against a claim that they keep poor defendants locked up just because they cannot afford bail. On Wednesday a judge and the county sheriff testified for the other side. “When most of the people in my jail are there because they can’t afford to bond out, and when those people are disproportionately black and Hispanic, that’s not a rational system,” said Sheriff Ed Gonzalez, who was elected after the case was filed. Both the judge and the sheriff are defendants in the suit. Their defections were yet another sign of the growing skepticism over the fairness of the long-used system of money bail, especially when it is applied to those who cannot afford it. The class-action lawsuit contends that on any given night, several hundred people are in the Harris County jail on misdemeanor charges solely because they cannot make bail. If defendants with bail bond amounts of $500 or less had simply been released, the county would have saved $20 million over six years, according to a “very conservative” estimate by scholars at the University of Pennsylvania. The practice of setting money bail, particularly for low-level offenses, has come under heavy criticism, and states like New Jersey and Maryland have sharply curtailed its use in recent months. A growing body of evidence shows that even a brief detention before trial can disrupt lives and livelihoods, make case outcomes worse and increase the likelihood that the defendant will commit future crimes. Putting a price on pretrial liberty can allow those with money to go free even if they are dangerous, and keep the poor in jail even if they are not. Civil rights lawyers have mounted a series of lawsuits against bail practices like those in Harris County, where people without ready money can spend up to four days in jail before getting a chance to even contest their bond amount. Almost a dozen similar cases across the country have been settled with significant changes to the local bail system. But two of the biggest challenges, in Houston and San Francisco, are still in play. And in both places, key officials have sided with the bail critics. In San Francisco, the city attorney, Dennis Herrera, and the state attorney general at the time, Kamala Harris, declined to defend against the lawsuit, saying the bail system was unfair. In Houston the district attorney, Kim Ogg, weighed in with an impassioned friend-of-the-court brief, writing, “It makes no sense to spend public funds to house misdemeanor offenders in a high-security penal facility when the crimes themselves may not merit jail time.” Like Sheriff Gonzalez, Ms. Ogg is newly elected. Those left to defend the system have had a lonely uphill fight. James Munisteri, a private lawyer hired by Harris County, faced calls for his removal after he told the court at an earlier hearing that misdemeanor defendants might be in jail not because they couldn’t afford to post bond, but because they “want” to be there. “If it’s a cold week,” he added. The case was filed last May on behalf of Maranda Lynn ODonnell, who was arrested on charges of driving with an invalid license. She spent over two days in jail because she couldn’t afford to pay her $2,500 bond. Civil Rights Corps, the organization whose director, Alec Karakatsanis, has led the legal attacks on unaffordable bail across the country, joined with the Texas Fair Defense Project, a nonprofit legal defense organization, and Susman Godfrey, a law firm, to bring the case. So far, the county has spent $1.2 million on outside lawyers to defend itself. But the videos made it clear that bail was routinely set with no inquiry into defendants’ ability to pay — or with the full knowledge that they could not. When suspects are first booked, their bail is set using a fee schedule based on the charge and on criminal history. At the probable cause hearing, where typically no lawyer is present, the hearing officer can raise or lower the bond, or grant a personal bond, which allows the defendant to go without an upfront payment. The county argued that it began reforming its pretrial release system before the lawsuit was filed. It recently issued guidelines recommending the use of personal bonds for people accused of 12 low-level misdemeanors. Beginning on July 1, it plans to make public defenders available at the probable cause hearing. The bail fee schedule will disappear, to be replaced by a risk assessment, a more sophisticated method of determining an arrestee’s likelihood of fleeing or of committing a new crime. Any injunction striking down parts of its pretrial release system would hamper these ongoing reforms, county lawyers argued. They also contended that a court order would tie judges’ hands, reducing their discretion and potentially allowing dangerous detainees back onto the streets. “There are a category of high-risk detainees who should not be released,” Melissa Lynn Spinks, a lawyer representing the county, said. Besides the sheriff, another star witness for the plaintiffs was Darrell Jordan, elected as a Harris County criminal court judge last November. At first, Mr. Jordan said, he followed the bail practices of his 15 fellow judges. But he radically changed his approach after learning of research showing that locking people up makes them more likely to be repeat offenders. Mr. Jordan began releasing nearly all defendants, either on a personal bond or on one they could afford. .
A homeless man who recently came before Mr. Jordan was prepared to plead guilty to a misdemeanor charge just to gain release, but changed his mind when he realized that the judge was willing to let him out of jail immediately. This entry was posted in bail, bail reform, pre-trial reform, state laws and tagged Boston, Decriminalize poverty, massachusetts, poverty, racism on March 15, 2017 by Susan.